Anyone who wants to cruise on the open road has dreamed about doing so in a vehicle like the 2019 Land Rover Discovery Sport. Not only does this SUV offer a unique and stunning exterior, but it comes with a luxurious interior that will make you forget about the outside world. In the 2019 model year, the Discovery Sport comes with an infotainment system that has made a few minor updates, and a brand new exclusive trim called the Landmark Edition. Land Rover understands luxury and utility, and the synergy the exists between both. That is why the available third-row seating, and above-average all-weather and off-roading capabilities can all exist so coherently together. To learn more about the 2019 Land Rover Discovery Sport, continue reading down below! 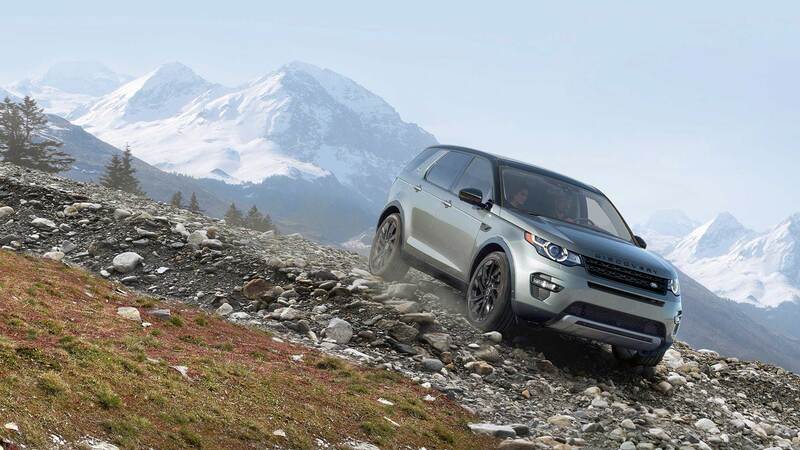 What engine powers the Discovery Sport? In order to give you the power and capabilities you're looking for, Land Rover has included two engine options with the Discovery Sport. The first of these engines is a 2.0-liter turbocharged 4-cylinder, which can output 251 pound-feet of torque and 237 horsepower. The second engine is a more powerful version of the first, and is offered with the HSE and HSE Luxury trims. This engine is a 2.0-liter turbocharged 4-cylinder, which cranks out 295 pound-feet of torque and 286 horsepower. No matter the version of the engine, you can expect to find all-wheel drive and a nine-speed automatic transmission as standard. What trims come with the Discovery Sport? The Discovery Sport comes with three unique and impressive trim level options. The first of these is the well-equipped SE, which includes a 10-speaker sound system, a USB media player interface, 18-inch wheels, a rearview camera, an 8-inch touchscreen interface, automatic headlights and wipers, partial leather upholstery, the Land Rover Terrain Response system, rear privacy glass, four USB charging ports, dual-zone automatic climate control, and cruise control. The second available trim, HSE, offers features like front parking sensors, 12-way power front seats with memory functions, an auto-dimming rearview mirror, a panoramic fix roof, and full leather upholstery. At the very top of the lineup is HSE Luxury, which includes an 11-speaker Meridian stereo, multicolor interior ambient lighting, navigation functionality, 19-inch wheels, upgraded leather upholstery, and fancier exterior trim. We also wouldn't want to skip out on talking about the Landmark Edition! This trim comes with the HSE's equipment and adds ebony leather upholstery, aluminum interior trim pieces, a unique bumper, graphite exterior trim pieces, and 19-inch wheels. What safety features come with this SUV? When it comes to safety, there is no better automotive company than Land Rover. Not only will you look good driving around in a Discovery Sport, but you can rest assured that you and your passengers are being taken care of. Some standard safety features include a rearview camera, rear parking sensors, and a Land Rover Terrain Response system. Other available safety features include front parking sensors, blind-spot monitoring, a surround-view camera system, lane departure warning, rear cross-traffic alert, and an automatic parking system that helps with parallel and perpendicular parking. As you can tell, it's impossible to not fall in love with the 2019 Land Rover Discovery Sport. Not only does this SUV offer a sporty attitude, but it also comes with all of the technology and power you could ever want. So stop driving around in a vehicle that doesn't make you happy, and start driving around in a Land Rover. Stop by our dealership today, we'd be glad to help you find the model that's right for you!